Our neighbors strung trees so that their branches are kept intact even under heavy snow. 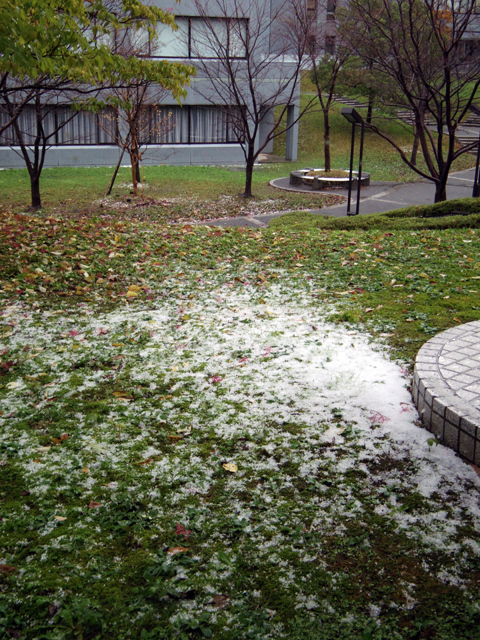 It tells of approaching winter. There was a conference on sport psychology. I was invited as one of the presenters for a symposium on dexterity (roughly speaking). I talked about differences and uniqueness of experts. 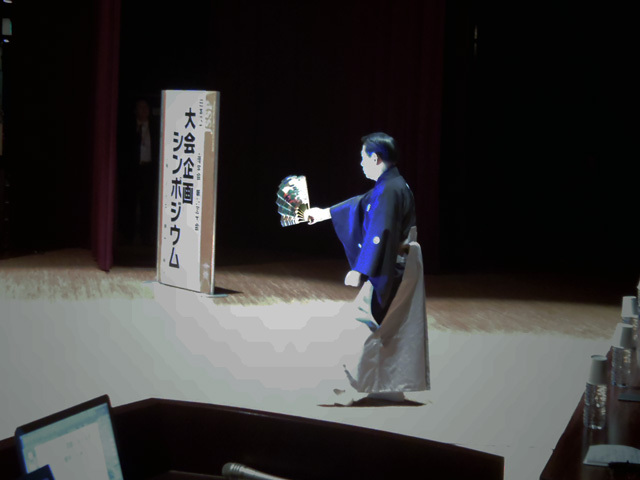 Prof. Yabu, a Noh performer, showed us a short performance on the stage and we were all impressed by his beautiful movements. 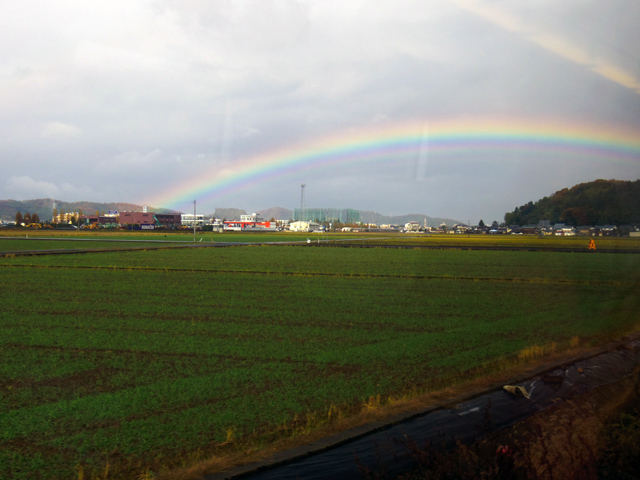 It was fine in Nagoya, but was raining and cold in Kanazawa. I stopped over in Nagoya and woke up early next morning to get back to Kanazawa. 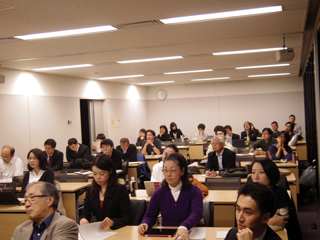 There was a meeting on terminal care in Kanazawa University. 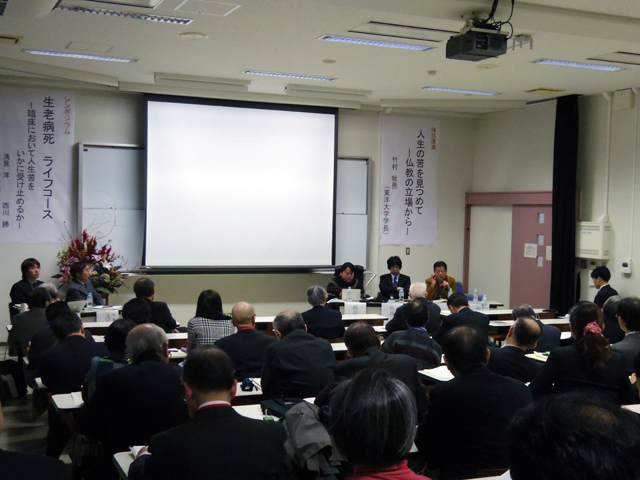 Prof. Nishikawa and Dr. Yamazaki and some of other colleagues came to the city and took part in the discussion. (Prof. N also gave a talk in the final symposium.) I liked a talk given by a doctor who is handicapped. He talked about Pain and pointed out that everyone who feel pain can be united and it is also a matter of mind (roughly speaking). I was impressed with his thought and expertise as medical doctor. We had a meeting of special interest group on embodied cognition. We held it as a joint meeting with another group who are interested in methodologies for transferring knowledge, technology, and skill to others. More than fifty people came to our meeting. WOW. I was particularly glad with the success of a small symposium on rhythms. Six speakers including me presented their works of rhythms. They were so diverse and amazing. I am pleased to know that we have still lots of things to investigate. Ices fell. We had ices. I found ices on the ground. How can I say? I am not depressed by ice. No. Not at all. I do not mind of ices at all. No. Not at all. Never. Ever. Ices fell. It is cold.